In Pakistan, there is a majority of consumers who are fond of driving luxury class SUVs, which are fully equipped with spectacular specs and features. The SUVs are vehicles which are specifically designed for off-road. Most of the consumers usually prefer latest and well-known brand SUVs which can give them an extravagant off-road driving experience. This is the reason why whenever we think of an SUV with massive ground clearance and spectacular features, some companies names come in our mind which include Toyota, Kia, Renault, Honda and many more. All these automotive companies have launched a variety of SUVs in Pakistan, which is the reason why consumers are quite confused which SUV to buy in 2018. Here in this blog I will be discussing top 5 SUVs which you can buy in Pakistan 2018. Toyota Fortuner price in Pakistan is Rs.64,49,000 which is quite reasonable as compared to other brand SUVs in Pakistan. This spectacular is currently available with a petrol engine, but the company is expected to launch its diesel variant this year in 2018. The engines that are internationally available in this diesel variant Fortuner which include 2.4L, 2.8L and 3.0L diesel engines. Though, there is an expectation that Toyota Indus Motors might launch the 2.8L diesel engine variant in Pakistan. The 2.8L diesel engine has the capability to produce 176HP with 420Nm of torque at 1400-2600rpm, which is quite impressive and more than the other two engine variants which are available in the international market. In comparison to the 2.8L diesel engine, 2.7L petrol engine Fortuner has the capability to produce 160HP with 256NM of torque. The diesel variant Toyota Fortuner is expected to carry more weight and have better off-road capability. So, if the consumers think that the petrol variant is underpowered, then get ready as the things are about to change in the coming days. Renault Duster price in Pakistan is yet to be announced by the Renault officials, but as per the fan made expectations regarding to this upcoming SUV price is that it will be around Rs.22,00,000. Duster is the signature model for Renault which was launched in 2009 by the company. This signature model SUV by Renault has pretty much dominated the international market since then and now it is expected to make a dominating experience in Pakistan automotive industry. Now what has Duster made one of the top SUVs to buy in 2018? This spectacular SUV comprises of spectacular features and most importantly it is available at a competitive price as compared to any other known brand SUV available in the industry. Moreover, Renault Duster comes with an extravagant interior space, which allows it to accommodate five adults. Duster is an entry-level family SUV which is not designed for an off-road driving experience. It comes with a decent ground clearance but not has the equipment or power to let the consumer drive it off-road. It is powered with 1.2L turbo petrol engine and 2.0L naturally aspirated engine. There is no information till date that which engine will Renault offer in Duster, while launching it in Pakistan automotive industry. KIA Sportage price in Pakistan is not officially announced yet by the KIA officials but there are rumors in Pakistan automotive industry that its price is expected to be around Rs.35,00,000. Kia Sportage is a 1st Generation SUV which is going to hit the Pakistani roads after a duration of 17years. This Korean well-known automotive manufacturer has returned back to Pakistan and will be launching a massive range of SUVs and sedans. KIA cars brand has made a well-known name in the automotive industry across the globe by introducing spectacular SUVs and sedans for its valued consumers. The reason behind the popularity of this automotive brand is that it offers 7 years/ 100,000 miles warranty with its entire range of automobiles and SUVs. 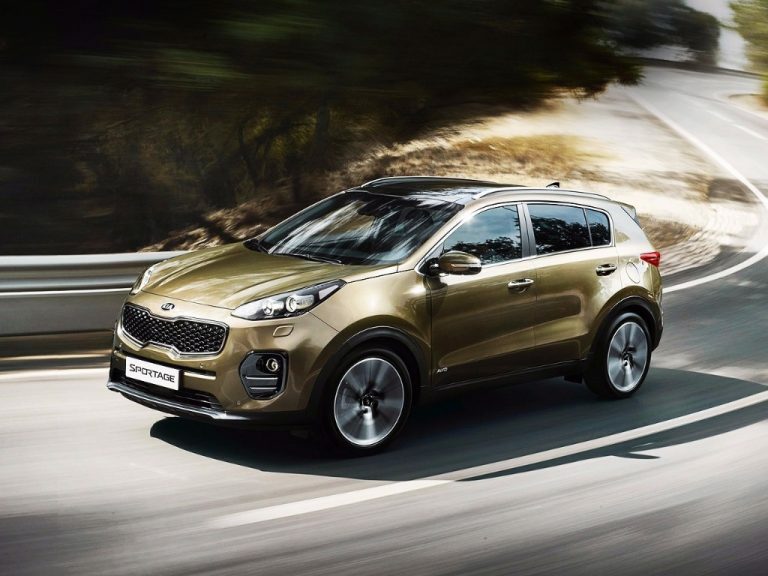 The new KIA Sportage 2018 has received a complete new redesign as compared to the previous model launched in 2016. The new design has also made this SUV one of the most head-turning compact SUV in the world. Many critics across the globe have pointed out about this spectacular SUV design and extravagant features. It features a spacious interior which makes it accommodate five adults along with their luggage in an effortless manner. This SUV’s best segment is its rear passenger space and boot, which is quite spacious. It is also considered to be the ideal SUV for big families, who wishes to go on long trips with their loved ones. This spectacular SUV is powered with 1.6L petrol engine or 1.6L turbo petrol engine. Now, let’s wait and see which engine is introduced by KIA in this aggressive design SUV by KIA for its valued consumers in Pakistan. It is also expected to be the ideal choice in terms of SUV for the consumers in Pakistan. Toyota RAV4 price in Pakistan is not officially announced yet by the Toyota Indus Motors official for their valued consumers. Though, there are expectations that Toyota RAV4 price is expected to be around Rs.35,00,000. This spectacular SUV is a front engine two/four wheel drive compact size SUV by Toyota. This 3rd Generation SUV by Toyota is being offered in four variants Sports, Style, G and X. We still have to wait what variant will be officially launched in Pakistan. However, the consumers who are interested in buying this SUV can effortlessly get it imported from any other country. All you have to do is pay the import taxes and this SUV can be yours. 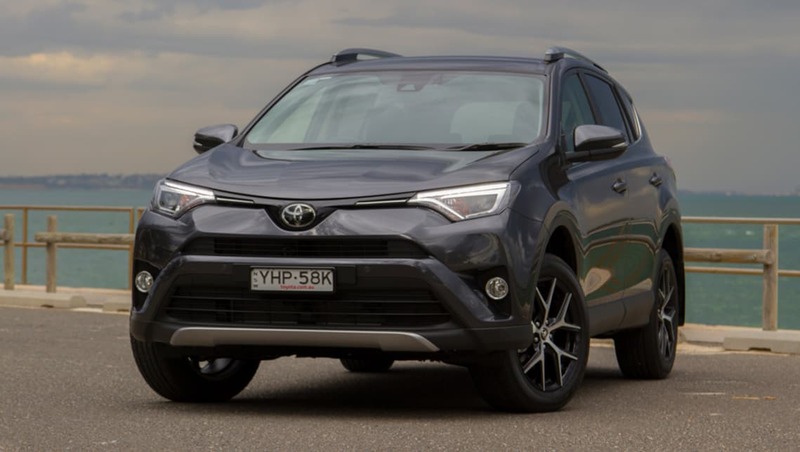 The front end of Toyota RAV4 features sleek trapezium styled side swept headlights, dual air intakes and a trapezium chrome grille. At the rear you see a pair of triangular side swept taillights and a standard case tailgate. All four variants of this compact size SUV features a similar design language. In the interior of this SUV you see silver and black polished trim pieces. The rear and front seats are covered with high quality fabric. The standard interior features of this SUV include air conditioning, power lock doors, power windows, stereo speaker system and a tachometer. The interior features in the high end variant SUV include fog lamps, alloy wheels, Xenon headlights, power adjustable mirrors and rear roof spoiler. The interior options available for this SUV include cruise control, satellite navigation, sunroof, leather upholstery and automatic climate control. The overall interior is spacious and gives an extravagant level of comfort. This SUV is available in two engine options which are 2.2 liter inline-4 diesel engine and 2.4 liter inline-4 petrol engine. Both the engines are mated with 6-speed manual or 5-speed automatic transmission. Toyota Land Cruiser Prado price in Pakistan starts from Rs.18,300,000 to Rs.26,000,000 depending on the variant you prefer to buy of this SUV by Toyota. Internationally, Land Cruiser Prado is offered in 3 and 5 door versions. Though, in Pakistan it is only available in 5-door variant. This spectacular SUV by Toyota is offered in three variants which are TX 3.0D, VX4.0 Petrol and VX3.0 Diesel. There is also a Land Cruiser V8 available in Pakistan, but it is included in high end SUVs of popular automotive brands. 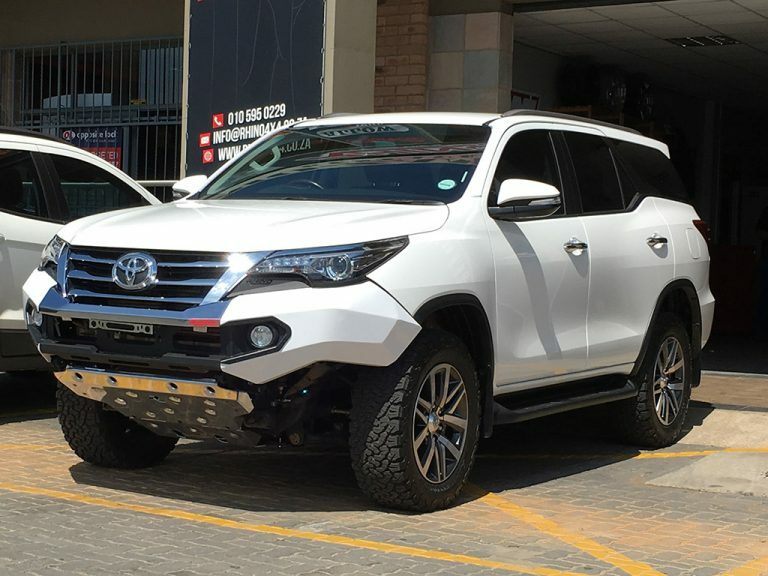 This SUV by Toyota belongs to 4th Generation of Land Cruiser. The exterior of the Toyota Land Cruiser Prado is without any doubt appealing and aggressive as compared to any other brand SUV available in Pakistan Automotive Industry. The latest model of TLC Prado features a facelift design which has completely revolutionized the SUV industry. At the front you see a chrome grille with LED headlights, whereas at the rear you see a standard case tailgate with a pair of stylish taillights. The interior of this aggressive design SUV by Toyota is spacious. There is enough leg space both at front and rear, which allows the passengers to relax and stretch their legs. The dashboard of this SUV is not so impressive, but it is a traditional dashboard with easy things to handle. By adding seats to the third row it makes it a 7-seater SUV. It is available in three engine options which include 3.0 liter DOHC inline-4 16 Valve diesel engine, 3.0 liter DOHC 16 Valve Dual VVT-I inline 4 engine and 4.0 liter DOHC 24 Valve Dual VVT-I V6 engine. All three engines are mated with 4-speed automatic or 5-speed manual/automatic and 6-speed Automatic/Manual transmission. This spectacular SUV is available in 9 appealing colors which include Silver Me, DK Blue MC, Grey ME, White Pearl CS, Green MC, Black DK, Dark Steel MC, Bronze MM and Super White 2.